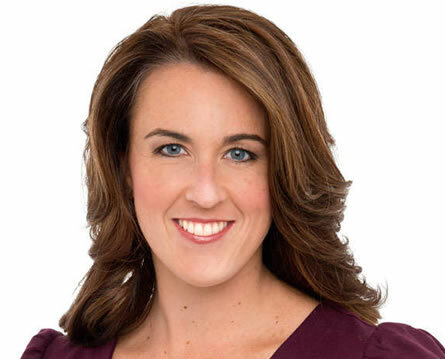 Amanda Maynard joined WISH as a Sports Reporter in July 2012. I started my career in Montana as the Sports Director for KBZK/ KXLF as one of the few female Sports Directors in the country. There I covered one of college football’s oldest but little known rivalries: The Brawl of the Wild between Montana-Montana State. Working and living in Montana gave me an opportunity to do just about everything, from working the sidelines to interviewing the then-senator Barack Obama on his basketball prowess to hiking, biking, and every outdoorsy thing imaginable. From there, I made my way down to the blue turf in Boise. I spent two years as the Sports Director at KIVI in Idaho, earning the 2011 Sportscaster of the Year award. I traveled weekly with the Broncos’ football team, getting a chance to cover some of college football’s most legendary games and take in some of the best skiing in the country. And that brings me to Indianapolis. I’m thrilled for the opportunity to cover everything from NFL to NBA to the racing world. I grew up in the Bay area before attending the University of Southern California. There, I majored in Broadcast Journalism with a minor in Cinema-Television, all while playing on the USC women’s lacrosse team. In my spare time, I love yoga, running (just ran my second half marathon), cooking (I make some mean salsa!) and watching good movies.